Before Elixir wants to eliminate hangovers and one other thing: Redness. You know, that look you get when you’re downing one too many bottles at a faster rate than usual and your face starts to look like it got stung by a bee. Yeah, that redness. We hate hangovers. We don’t think we’ve met anyone who actually loves them unless they’re masochists, but we digress. Other than hangovers, the other thing we all agree to hate to have is a red and hot face. And like we said, Before Elixir claims to get rid of that too. For that price tag, it better! Is Before Elixir an actual elixir or just some expensive combination of herbs and flowers? Read on to find out. Before Elixir claims to not just solve our hangover problems, but also the redness and flush we get while we’re drinking. For some, having a red face isn’t all that bad but we do understand why others would rather look like they weren’t drinking while drinking. Apart from that, they claim to work 90% of the time which is great, but why stop at 90 when you can go a full 100? Classic ingredients. Seeing familiar ingredients is just like seeing old friends. You know what they are and you know what they aren’t. Prop blend. Why do companies still do this? This is why some reviews are all inaccurate to be honest. Vitamins and Minerals. Vitamin B6, Vitamin B12, Calcium, and Magnesium make up the short yet generously dosed vitamin and mineral blend of Before Elixir. Nothing out of the blue here, although we do wish some were. The forms they used are the cheap ones and for the price you’re paying, you’d think they’d offer the premium stuff. N-Acetyl Cysteine. NAC helps produce glutathione, our body’s main antioxidant and serves as the liver’s first line of defense against harmful toxins. More than a liver supplement, NAC’s glutathione replenishing property could be linked to its liver restorative potential. Milk Thistle. Known for its silymarin content, Milk Thistle has been shown to exert liver protective properties, with research showing its potential at preventing and even treating many types of liver diseases, even those induced by excessive alcohol consumption. Acetyl L-Carnitine. While ALCAR is known for its brain boosting benefits, one study showed how it helped with alcohol withdrawal symptoms in rats. Alcohol withdrawal is a fancy term for hangover. Hovenia Dulcis. We all know what dihydromyricetin (DHM) is and we’re glad the bulk of the prop blend seems to have been given to this magnificent ingredient. For those of you who don’t know, DHM is one of the few known ingredients that’s been proven to actually help negate the awful effects of having a hangover in actual people. Before Elixir shows a lot of promise from the get-go. Short but sweet, the hangover drink provides some of the well-known ingredients in the industry without sacrificing dose. Despite the proprietary blend, we can assume it has good doses for DHM, Milk Thistle, and ALCAR. NAC, while last on the list, could still pull-off a hat trick even with a tiny dose of 500 mg. Unlike other hangover drinks, Before Elixir concentrates on attacking hangovers without all the fancy “anti-toxin” and “tea extract” madness. This allows its blend to be concentrated, but also fully focused on one solid goal. None of the ingredients are standardized. The difference between a standardized extract and plain powder is miles apart, with the former allowing you to add more zeroes to your price. It’s too expensive. Regardless of the lack of premium ingredients and standardization, Before Elixir still thinks it can sell itself at a high price. 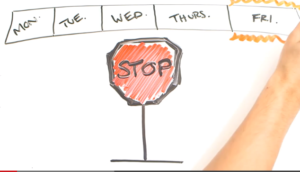 So, it’s not that we don’t like Before Elixir. In fact, we think it’s a damn good product. We just can’t believe the price point it stands on. Knowing there are other products like AfterDrink that do so much better at formulations yet retain a reasonable price tag makes Before Elixir just ridiculous. It definitely does a number on your hangovers. At the very least, it should lessen its impact and even its duration. Some users report of a burning sensation when consumed and even a mild headache before any drinking happened. Since it’s a bottle, you might want to think twice before going on a flight with this product. Airport rules don’t allow liquids after inspection after all. For check-in luggae, there’s the problem with the added weight should you carry a whole pack. Not only are they bulky, but they’re quite heavy as with all liquids. Many love Before Elixir. However, the company offers discounts for positive reviews, so take these with a grain of salt. However, some buyers really disliked its flavor and burning sensation. Recognizable ingredients: We love it when we see ingredients we know are scientifically backed to do what they’re meant to do. Simple: No fancy herbs, no extra colors or flavors, just a good hangover drink. Decent dosing overall: Despite the prop blend, we’re assuming the key ingredients were appropriately dosed because of its popularity. Expensive: They mark the price so high despite the use of plain form ingredients. No standardizations: Standardized extracts are much more effective than plain powders. Propietary blend: We don’t like not seeing how much of anything it has. It ruins the fun of reviewing products. 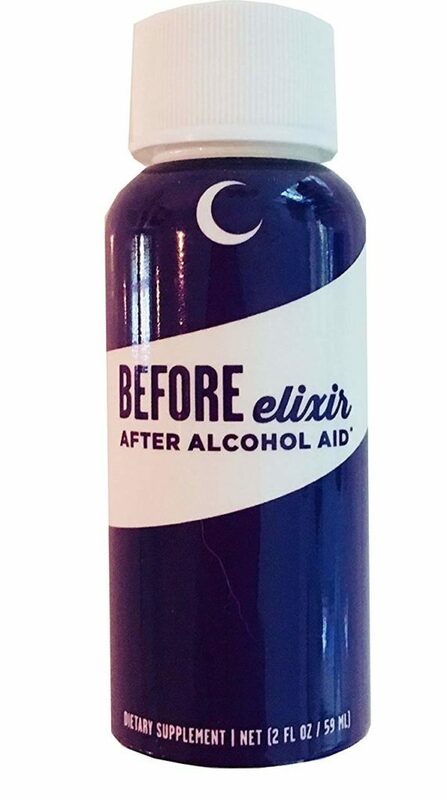 Before Elixir wants to be the one-stop cure-all for all your hangover and redness/flushing needs. It makes use of research-supported ingredients together with a good dosing of vitamins and minerals all of which helps your liver do its job faster and at a more efficient rate. However great it is, we just can’t find any justification for its price point. The common forms of ingredients are good enough, but the company sells Before Elixir like it contains concentrated forms of everything. We’re on the fence with this one. If you can afford it, buy it. Then again, why not just buy a better hangover drink with the same amount of money? If all else fails, maybe you need to help it work. 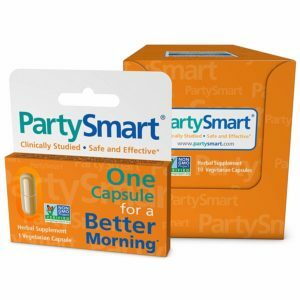 How about some hangover pills to go with your hangover drink?